One of the things that many people neglect after starting a business is to file applications for patents, trademarks, copyrights and other intellectual property rights. These are your intangible but most important and valuable assets. Did you know that around 1.45 lakh patent applications have been filed in India over the last four years? But only 27% (39,318) of these were filed by Indian inventors and organisations. The remaining 73% applications were from foreign entities seeking to extend their patent rights to India. It doesn’t mean there are fewer innovators in India. It just means that our business owners and innovators don’t care as much about protecting their IP rights, or are simply not aware of it. 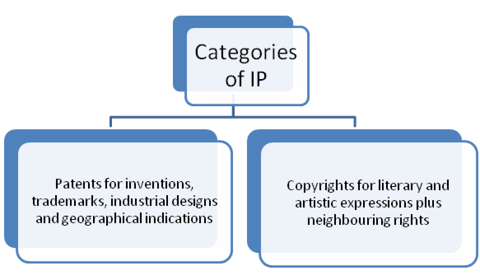 So let’s start by looking at what is intellectual property, and the history and development of IP laws. Then we’ll look at the application and filing process in India for trademarks, patents and copyrights. In need of intellectual help or mentorship? Get an Office at Evoma, home to Bangalore’s most successful startups, SMEs and corporate giants. 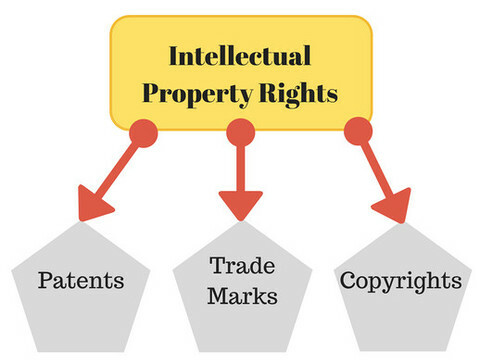 Intellectual property is where you are holding the ownership and intangible rights for products of human intelligence and creation. It promotes creativity beholding the rights to the owner. In 1873, the International Exhibition of Inventions took place in Vienna. Foreign exhibitors thought it would lead to theft of their ideas, and they refused to attend. This led to the Paris Convention for Intellectual Property that was held in 1883. The Paris Convention protected IP ownership irrespective of borders. The use of literary and artistic works. In 1893, the United International Bureau for the Protection of Intellectual Property – best known by its acronym BIRPI, was formed with seven staff based out of Berne, Switzerland. BIRPI was the predecessor of today’s World Intellectual Property Organization or WIPO. WIPO is a specialized agency of the UN, with a mandate to administer IP matters recognized by the UN Member States. A Patent is a legal document granted by the government providing exclusivity for right to make, use and sell an invention by the inventor. Patents are also available for significant improvements on previously invented items. You can download the application forms for both provisional and conventional patent filing from the official Govt. of India’s Controller General of Patents, Designs & Trademarks website. You can also get the fees structure details in the above link. For small entities, Form 28 from the above list is a must. Approved patents are valid for 20 years from the date of filing of a patent application, as per Patents (Amendment) Act, 2005. Note that you can also contest patents that have been granted or are in the application process. Novartis filed an application to patent one of its drugs called ‘Gleevec’ by covering it under the word invention mentioned in Section 3 of the Patents Act, 1970. Case Verdict after 7-year court battle: Supreme Court rejected the Patent stating it was neither ‘inventive’ nor had a superior ‘efficacy’. The scope and duration of protection provided under copyright law varies according to the nature of the protected work. You can download the application forms for Copyright filing from the Govt. of India Copyright Office website. You can get the fees structure details here. Fees can be paid online or by postal order or demand draft. Extends for lifetime of the author and 60 years from the year in which the author dies. 60 years from the end of the year in which the work is published, performed, or offered for sale or broadcast during the lifetime of the author. Protected for 60 years from the end of the year in which the work is made available to the public with the consent of the owner of the copyright or published work. If nothing happens as above, 60 years from the end of the year in which the work is made. 60 years of protection from end of the year, when it was first published. Note that you can also contest Copyright infringements and applications for the same. The Gist of the Case Filled: Horlicks Limited filed a case against Karthick Confectionary for infringement under trademark and copyright laws. Case Verdict: The Court restrained Karthick Confectionary from manufacturing and selling toffees or other related goods under the trademark HORLICKS or under any other name that is similar in expression to trademark HORLICKS. Further, the court barred Karthick Confectionary from reproducing, printing or publishing any label which was a mere reproduction or imitation of HORLICKS label, thereby protecting the latter’s copyright to the label. You can download the application forms for trademark filing from the Govt. of India Controller General of Patents, Designs & Trade Marks website. You can also get the fees structure details in the same link. Ten years is the stipulated time for which you get a trademark, from the date of registration. It has to be renewed every 10 years. You can also file trademark infringement cases and contest granted trademarks. The Gist of the Case Filled: Zara Fashions and Zara restaurant, both share the same brand name. This will eventually cause confusion among customers by kindling the thought of same ownership. Case Verdict: Verdict turned in favour of Zara fashions as it had its presence worldwide since 1986 and had even applied for trademarks. The restaurant now operates as “The Tapas Bar” in Delhi. In conclusion, applying for and securing your intellectual property rights adds value to your business, helps increase sales and generates sustainable and long-term revenue streams. It’s beneficial not just for you and your business, but also for the country as a whole. Need a secure business location for growth? Come to Evoma, home to Bangalore’s most successful startups, SMEs and corporate giants.